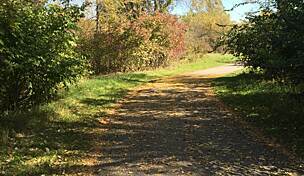 While Greater Des Moines is flush with multiuse trails, one of the paved pathways running through the suburb of Clive really stands out. 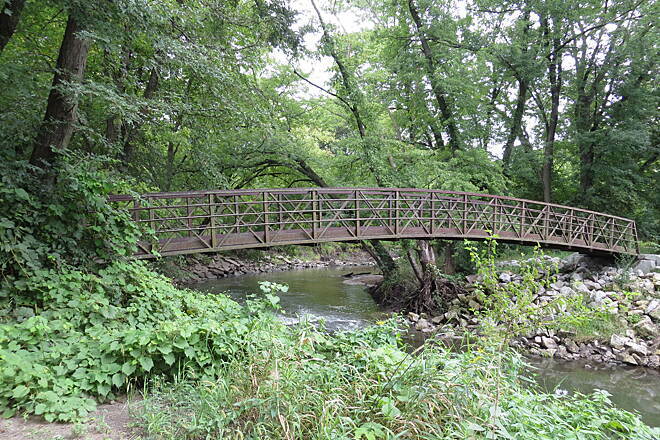 Offering a string of trailside parks and fun twists and turns as it follows scenic Walnut Creek, the Clive Greenbelt Trail is a popular local amenity that’s worth a visit if you’re traveling in the area. 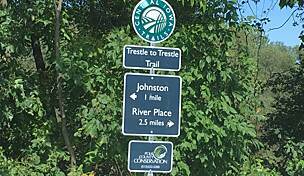 On the west end of the trail in Lions Park, you’ll have the opportunity to easily connect to two other trails: the Heart of the Warrior Trail, which heads 3 miles west, and the well-loved Raccoon River Valley Trail, which travels west and then north for more than 80 miles to Jefferson. From the park, you’ll travel east on the Greenbelt, winding through pleasant suburban neighborhoods. The lush border of trees gives you the feeling of being away from it all, while restaurants, stores, and other businesses are positioned within easy reach of the pathway. 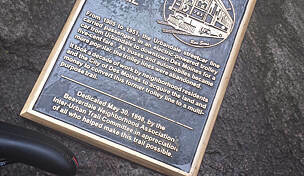 Numerous well-marked spurs spin off the trail to destinations such as parks, city hall, and the public library. 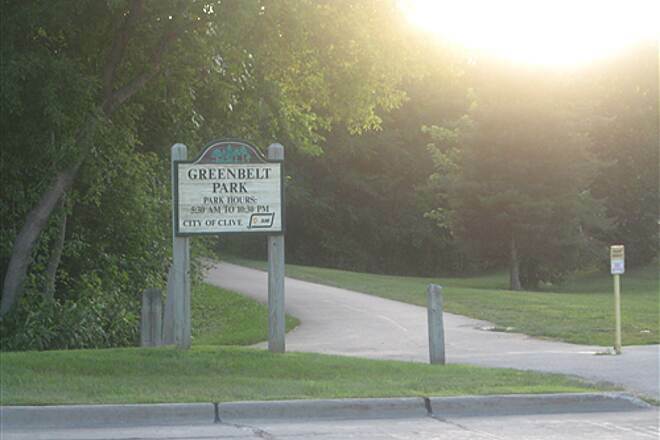 The Greenbelt’s popularity in the community is easily felt here, as dog walkers, joggers, bikers, families, and outdoor enthusiasts of all sorts can be found on the trail. If your excursion takes place between May and September, you’re in for another visual treat. 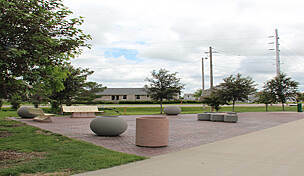 The Art Along the Trail exhibit is held annually on the Greenbelt during this time frame with six sculptures made by Iowans showcased trailside. At the end of the event, one of the pieces is selected for a permanent place in the city’s public art collection. 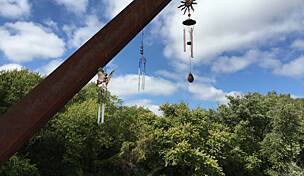 On its east end, the trail enters Windsor Heights and seamlessly connects to the Walnut Creek Trail, which in turn ties into other trails in the expansive regional network. 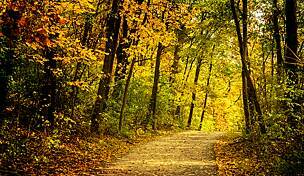 The west end of the trail is located in Clive at Lions Park (15880 Wildwood Drive), though for a seamless trail experience a better place to begin a trip is at the Campbell Recreation Area (12385 Woodlands Pkwy.). To reach the recreation area from I-35 northbound, take Exit 125 for US 6/Hickman Road. Turn left (west) onto US 6/Hickman Road, and go 0.8 mile. Turn left at NW 128th St., and travel south for a half mile. 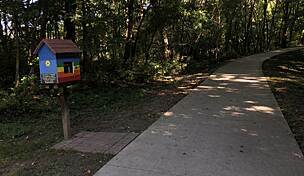 Turn left onto Woodlands Parkway, and follow it for 0.3 mile until you see the entrance to the Campbell Recreation Area on your left. The endpoint at Lions Park is 3 miles west along the trail. 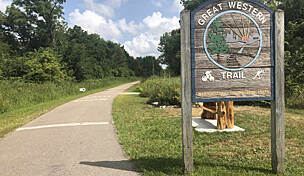 The closest parking for the eastern end of the trail is located at the trailhead in Clive. To reach the trailhead from I-235, take Exit 2 for 22nd St. toward W. Des Moines/Clive, and go 0.6 mile. 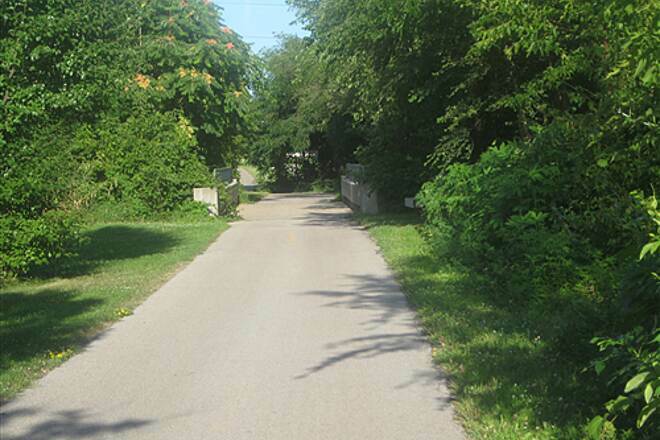 Continue onto NW 86th St., and go 0.2 mile. 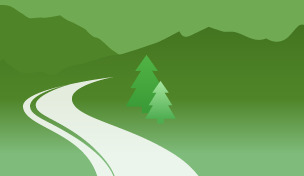 Turn left into the trailhead; parking is available to your right at the end of the short access road. 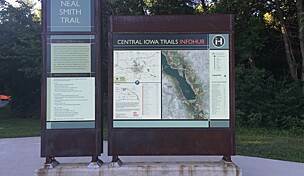 The endpoint is located 1.3 miles east along the trail at 73rd St. in Windsor Heights (also the northwestern endpoint for the Walnut Creek Trail). Was in Urbandale for a business trip and needed a good location to get my run in. Found this trail through this site and went around 5:45am. I absolutely loved this trail!!! No crossing roads and was flat!! Perfect for an early morning tempo run. If I'm ever passing through again, will definitely be coming back here! 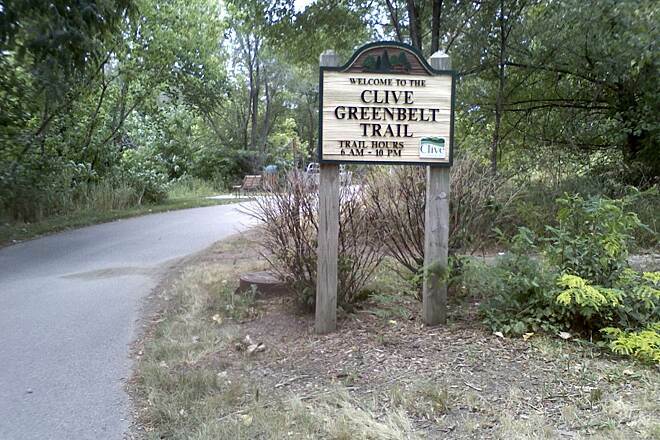 The Clive Greenbelt is an urban multi-use trail, so it's crowded. It's not built for speed so if you're training for a race, this is not the right resource for you. If, on the other hand, you just like to get out and explore and ride at a leisurely pace, this is hard to beat. The surface is reasonably smooth and in good shape. Signage is awesome. The first time I rode it I found it easy to get where I wanted to go. This is no small thing as there are many spurs off the trail into surrounding neighborhoods. Connectivity is very good. If you live here, you can use it to get to shops, schools, places of employment, restaurants, etc. The woods are thick along most of the trail and you follow a creek so even though you're crossing the heart of a metro area it still has somewhat of a wilderness feel to it. 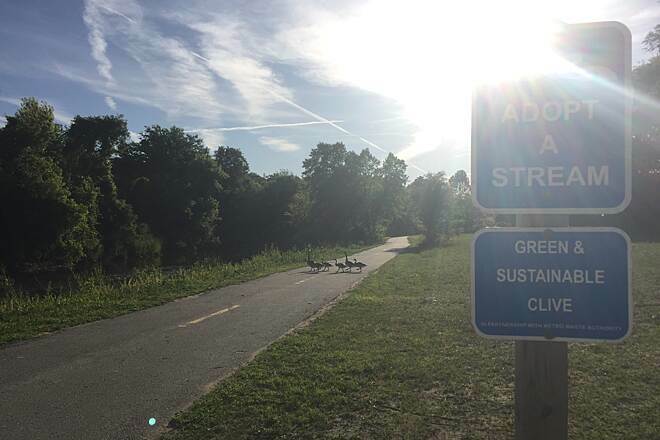 You'll likely encounter a lot of traffic including families with kids and dogs, walkers, other bikers and people who just want to enjoy nature. 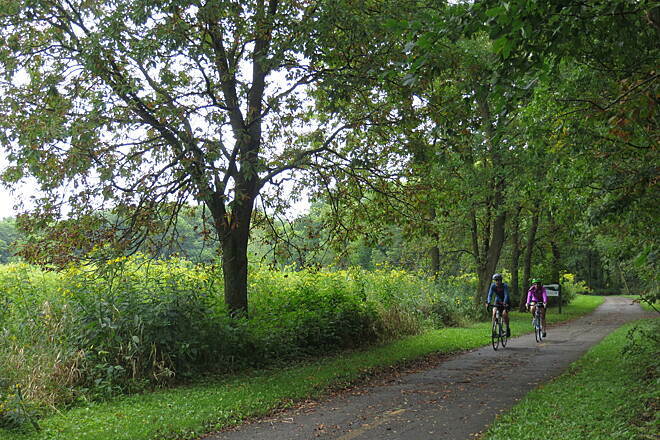 It's a great community resource and everything an urban trail should be. 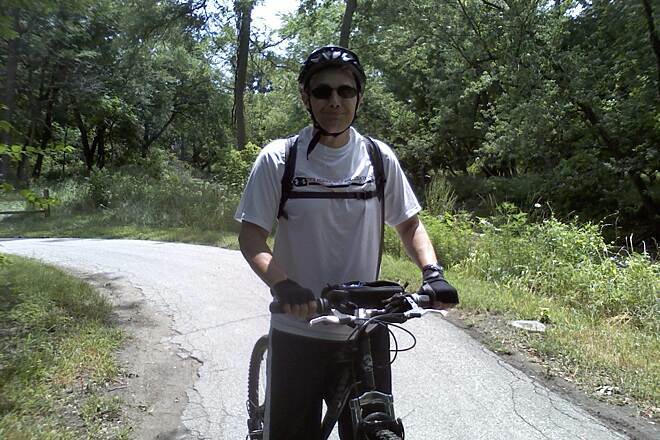 We enjoyed riding the Clive Greenbelt Trail a couple of days ago. Three deer greeted us and followed us for a short time while we were walking our bikes in a dirt detour area where city employees were trimming some trees. Some of the trail needs to be replaced or an overlay due to it being really rough. Numerous connections to city streets, neighborhoods and parks. 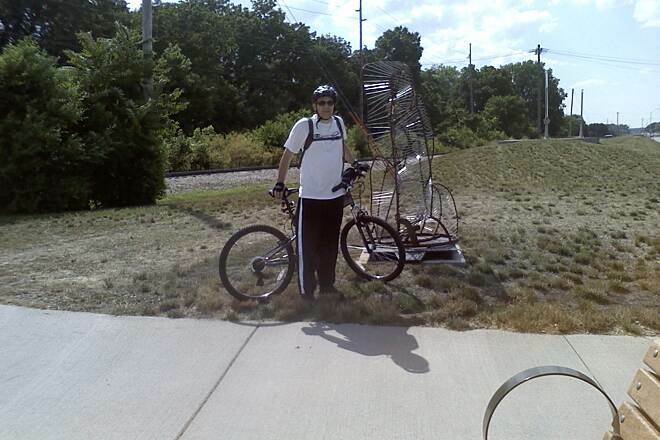 We used this trail to connect with the Raccoon River Valley Trail. Urban Trail with nice scenery. 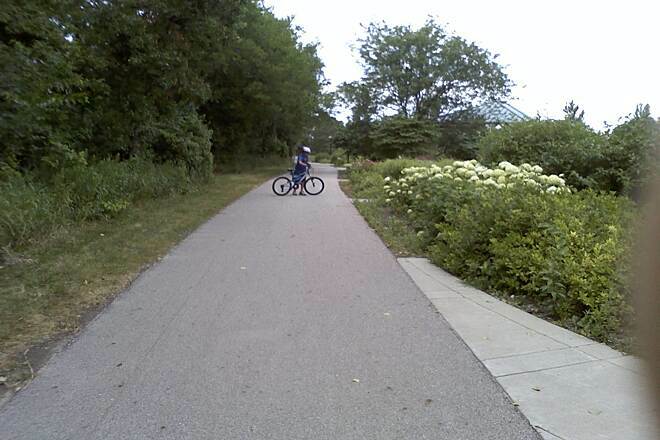 Even though this is an urban trail it is very scenic because it follows the creek. Lots of trees. Surprising for an urban trail. 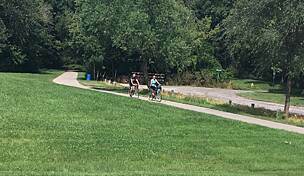 Links up with Raccoon River trail. This review is very accurate. 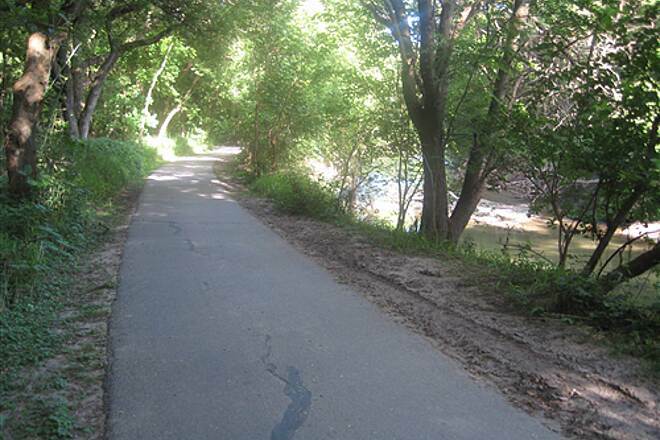 While a beautiful trail to ride along the creek, it is very winding and used by runners, bikers, and people walking their dogs. You have to be very careful to avoid others, and if you are a biker that likes to go 20 mph, forget it, there are a lot of bikes traveling 10 mph. but if you want a very relaxing ride, this would suffice.